The public will benefit from capital improvements proposed for Safeco Field. The Metropolitan King County Council should approve these reasonable investments to ensure the facility remains a premier destination. With their new lease at Safeco Field, the Seattle Mariners are making a generational commitment to remain in Seattle. 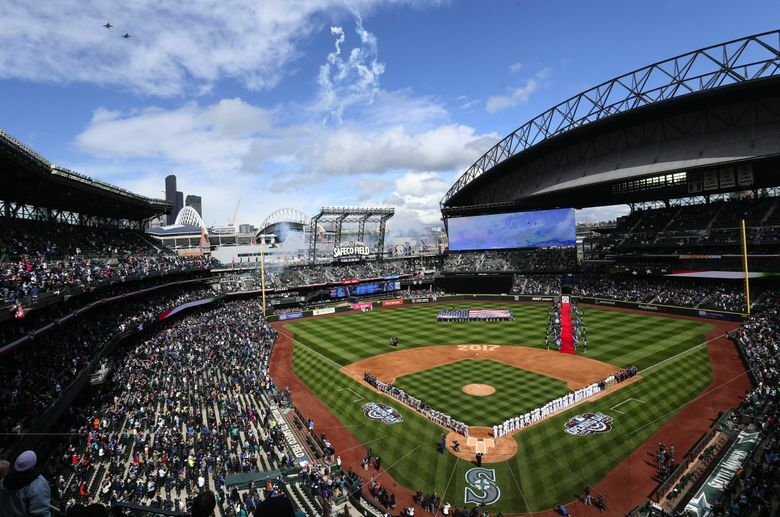 King County Executive Dow Constantine, in turn, has made a reasonable proposal to continue investing in the publicly owned ballpark to ensure that it remains a premier tourism attraction and event venue for decades to come. Constantine is proposing that a portion — only a portion — of the county’s hotel-motel tax revenue be spent on ballpark improvements. The Metropolitan King County Council should approve this proposal. It supports smart investments in a beloved regional asset that will need more than basic maintenance as it ages beyond its teen years. The county lodging tax was created in 1967 to fund stadium facilities. After CenturyLink Field bonds are paid off in 2021, Constantine’s proposal would spend 37.5 percent of the tax revenue on housing, 37.5 percent on arts and cultural programs and the remainder on tourism, mostly Safeco Field improvements. Three percent would be spent over eight years on improvements at ShoWare Center in Kent, home of the Seattle Thunderbirds hockey team. Safeco Field would receive around $177 million over 23 years, or about $8 million per year for capital expenditures. It has a long list of pressing needs, including roof repairs. Under the new lease, the team and taxpayers would contribute to a capital expenditures fund for maintenance, repairs and improvements. The Mariners will contribute at least $120 million. The ballpark is a great public investment, according to an analysis prepared for the public facility district overseeing the ballpark. It estimates ballpark operations generate $180 million per year in economic activity, $128 million in wages and 3,300 jobs. Over the next 20 years, the facility is expected to generate $3.1 billion in economic output and support $2.2 billion in wages in the county and state. Even if those numbers are high, it’s still worthwhile to invest an additional $8 million a year in this public facility. County Councilman Dave Upthegrove proposed instead spending more on affordable housing. Affordability is a major challenge, and a regional conversation is needed on how to respond. Municipalities must balance spending on a range of services to provide safety, livability and economic development. King County already increased spending on housing and community development 78 percent, to $177 million in 2017-2018, in its operating budget. The lodging tax will provide another $539 million for housing over 23 years. Economic growth is also an essential part of the affordability equation. Public facilities like Safeco Field create jobs and enhance the region’s appeal as a place to build companies. That creates opportunity for people to afford living in the region. The Metropolitan King County Council should proceed with the wise, long-term investments in Safeco Field that are proposed. Ensuring that this public facility remains a premier attraction and economic driver is in the public’s best interest.